Shotguns. Boomsticks. Scatterguns. Gauges. The most ubiquitous, and one of the most versatile guns in the world, equally at home afield putting meat on the table, eliminating pests or digesting rioters and home invaders, the humble shotgun for all its modern trappings has not changed an awful lot since we took to cartridge ammunition. That’s with cause, too, as evidenced by America’s ceaseless hunger for shotguns in all their guises. The simplicity and brutality of the shotgun has been one of its major selling points since its inception. A shotshell goes in, and a cloud of destructive shot comes out with the pull of a trigger, plucking birds form the air or hewing down larger critters with multiple, lethal wounds. Tough to argue with that for a defensive weapon, and most of America agrees. Shotguns are overwhelmingly the long gun of choice for home defense across the U.S. and the past decade or so were the police long arm. All those cops and citizens cannot be wrong, but it isn’t all gumdrops if you want to worship at the temple of the gauge. Shotguns have lots of perks, but several disadvantages also. In this article, we’ll be taking a deep dive on the pros and cons of shotguns in a defensive context for the average citizen. Any firearm, including shotguns, chosen for defensive use must be possessed of certain fundamental characteristics. Mechanical reliability is a prime consideration, as you must be able to depend on any tool you are staking your life on. If you do not have all confidence, with cause that the gun will go bang when you pull the trigger you may not want to bet the farm on it. A quality shotgun of any type will generally be reliable, though manually operated guns require more user practice to ensure you obtain it. A potent cartridge is also a necessity as humans are tough critters. Sure, many dirtbags will give up or flee when shot with anything, but in my opinion it is a poor idea to rely on subpar performing or too-puny projectiles when more decisive loadings are an option. Any common shotgun chambering, save perhaps the .410 bore, is more than adequate in that department with the right payload. Capacity is not the end-all be-all of perks in a defensive arm but is nonetheless important: each round carried on board in the magazine or in the chambers is an opportunity to save your life or someone else’s, so don’t discount it. Considering shotguns as a class are cumbersome and slow to load compared to other guns, adequate capacity is even more important. Lastly, and this applies specifically to long guns, we should consider the length of the gun. While stocks can be shortened a little bit both for fit and reduction of overall length, we net most of our length-savings on a shotgun by keeping the barrel short and manageable. A long barrel of 22” or more is getting pretty ungainly for inside the home use, and anything longer turns into a liability pretty quickly when rounding corners or moving through door frames. An 18” barrel, the shortest over-the counter legal length for a properly stocked gun, is ideal for home defense. 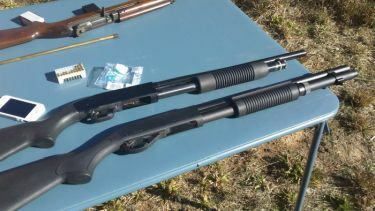 Shorter barrels can be had over the counter in the form of arm-brace equipped “firearms” ala the Mossberg Shockwave and Remington Tac-14 series. 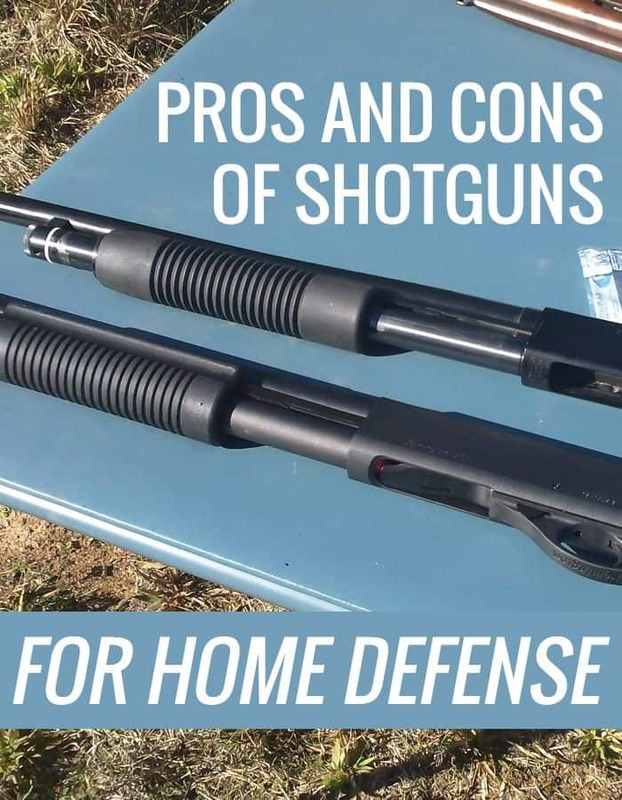 In the following sections, we’ll be examining do’s, don’ts, pros and cons of shotguns for home defense. Shotguns, like any gun, bring strengths to the table but those strengths come with some baggage. The serious and skilled shooter will work to maximize the strengths and mitigate those weaknesses so they don’t turn into showstoppers. A shotgun’s single greatest strength is in its raw destructive capability compared to other small arms.. With an optimal loading, say for instance No. 1 buckshot, a single pull of a trigger can create 15 individual, deeply penetrating, permanent wound channels in bad guy. That is at “extended” ranges for a shotgun of 15 yards or so. 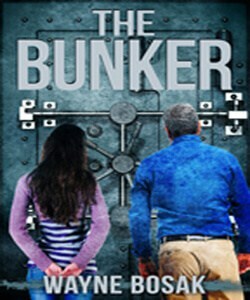 At typical inside the room distances, that same load will produce a tight furrow of utterly destroyed tissue, a grievous wound that other shoulder-fired guns cannot hope to match. If a slug is loaded in lieu of shot, you can expect a very large wound channel and serious penetrative capability with most modern designs, ideal for punching through auto bodies, glass and light construction material. It is this massively destructive performance that lends a shotgun much appeal. The other major advantage of a shotgun is its versatility, though for defensive use this strength is somewhat overblown thought it does make a big difference if considering a shotgun for legitimate SHTF scenarios where harvesting game is a bonafide concern. By simply changing ammunition (and chokes if applicable) a shotgun can be optimized for very close range engagements or long range engagements with a fair degree of precision. This allows a shotgun to function as a very powerful weapon at all ranges out to about 125 yards or so as long as the correct ammunition is chosen. Every rose has its thorns. Enjoying a shotgun’s bone-crunching power means you will have to sacrifice much in the way if a simple manual of arms when it comes to operation and reloads, or a one-size-fits-all firing solution afforded by a rifle or carbine. A shotgun requires significantly more thought, understanding and practice to use effectively compared to a rifle or handgun. All shotguns using shot will pattern differently with different load at different ranges. It does not take a genius to see how errant pellets could lead to disaster in a home-defense scenario. It is up to you to take your shotgun out to pattern it at different ranges, and work through what that means for you in the context of a defensive scenario. Slugs offer more precise shot placement with less risk of a lone pellet shanking off target, but all but specialty slugs present significant penetration concerns, especially inside a dwelling. If one were planning to run slugs exclusively you might be able to make a better argument for selecting a rifle instead. 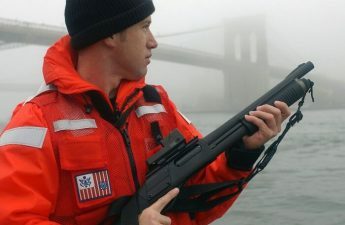 Shotguns are often heavy, lengthy guns, and their ammunition is similarly heavy and bulky compared to a svelte rifle magazine with 30 or more rounds inside. Loading a shotgun, even a detachable magazine-fed shotgun is no easy or quick task, and is prone to fumbling without significant practice. You’ll need lots of practice, too, as most shotguns only hold 5 or 6 rounds, meaning topping off as a fight continues is a crucial skill. A double barrel shotgun gives you two and done before you need to break the action and stoke the chambers once more. Lastly, and definitely not lease, shotguns, especially non-autoloading guns, are famous for stout recoil, especially in 12ga. and stouter 20 ga. chamberings. While this can be overcome with training, and the last thing you’ll be worried about in a defensive encounter is a tender shoulder, this recoil can make high-volume or regular practice downright torturous. You will never mistake touching off a load of full power 12 ga. buckshot for pulling the trigger on a mild by comparison 5.56mm carbine. If it seems like a fair bit to overcome in pursuit of scattergun nirvana, it is. It really is. There is a reason why shotguns are being relegated to specialist weapons or breaching tools in military and police usage. Shotguns also fare very poorly against body armor, but that is another discussion. So, why choose a shotgun at all? Refer back to the pro’s section: with the right ammunition, there is no gun you can hold in your two hands that will wreak more carnage on a human body than a shotgun. Except maybe a flamethrower, but let’s be serious- they are hell on your homeowner’s insurance. Whatever cases we make for and against them, many people like, prefer or own them, so below you will find a list of do’s and don’ts to help you get the most from a scattergun as a defensive implement. Like any gun, defensive shotguns can be optimized for best performance, no matter how adequate or excellent they are out of the box. Conversely you should take care to avoid the biggest pitfalls, misconceptions and outright myths associated with shotties if you want to make your life easier. Defensive shotguns benefit greatly from 2 additions: a white light and ammo storage on the gun. The utility and necessity of a white light should be obvious for a defensive gun. Most shotguns will accept an aftermarket rail section or clamp to allow the attachment of a light. Shotguns being typically low capacity and ammo hungry, means on-gun ammo storage is nearly mandatory. This ensures you will have extra ammo close at hand should you need it, without needing to stuff loose shells in pockets. Options for storing the ammo on the gun include bolt or clamp on receiver caddies, cuffs mounted or laced to the stock, and so called match-saver or spare pair holders just ahead of the receiver on the forend of autoloaders or break action shotguns. Definitely avoid the slings that have an integrated bandolier of shells, as these are heavy and ungainly to load from, though their convenience factor makes them attractive to some. Your next order of business will be improving the sights. A plain bead is fine on a shotgun intended only for close-in work, though the lack of adjustment will mean zeroing, learning and applying correct holds at range will be difficult and risky. If you decide to rock a bead alone, you should consider an upgrade to a high-visibility version, either fiber optic or a “big dot” model as typified by XS Sights. The ability to pick up the front sight quickly under stress and in less than ideal lighting is essential; most factory bead sights are tiny, dull and thus hard to see. If the gun may be used with slugs or at longer ranges try to select one with both a front and rear sight, or have them installed. An aperture or “ghost ring” sight is best for this purpose, as it allows a high degree of precision and the ability to zero to your chosen load. Also be sure to choose your action based on your needs and objective. Pump actions are seen as iconic and invincibly reliable, but they create the biggest workload for a shooter, and are vulnerable to “short-stroking” which creates a malfunction that must reduced before firing again. 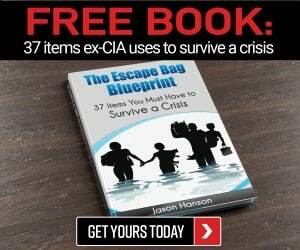 Break actions are very simple to load and unload, and their simple nature will be a benefit to some, but they are obviously hampered by very low capacity. Autoloaders have less recoil, and are fast and easy to shoot well, but are more ammo sensitive than other types. Any can serve well for self-defense, but you, the shooter, must be willing to put in plenty of practice to get the most out of a shotgun. If you have a choice, choose a 12 or 20 gauge shotgun. Both are more than adequate in the performance department for tackling 2 legged critters and both also have plenty of market availability and varieties of loads available. Even so, the 12ga. is the standard shotgun chambering and far outstrips all others in the price and availability department. The others can perform adequately with proper ammo, but good luck finding appropriate loads for defense. Let us dispense with the greatest mistake when stoking a defensive shotgun, and do so decisively: do not rely on birdshot for defensive use of any kind! Unless you are going to be attacked by birds, of course. Birdshot is too light and too tiny, penetrating too shallowly except at point blank range to deliver the kind of wounds we need to decisively stop an attacker. It can and will cause very gnarly looking and disfiguring, but ultimately superficial wounds, but it is not an optimal choice for defense in any capacity. It’s often cited as a good choice for home defense because it will not penetrate walls, or penetrate them very far, and this is true. But people are a far tougher medium than sheetrock, and logic informs us that if something will not penetrate sheetrock it will not penetrate people very well either. Instead, select either buckshot (No.1 is ideal, 0, 00 or 000 are all very adequate performers) or reduced penetration slugs for defensive work. Load the gun with one type and one type only. Do not engage in any such lunacy as loading mixed or staggered runs of bird, buck and slug, or any other such nonsense. The chaos of a lethal encounter will furnish plenty of problems without you making your job difficult with a variety of loads in the gun. If a gun loaded with buck is needed for a long range shot in a hurry, the rounds in the gun can be replaced with slugs by performing a “select slug” drill. If you anticipate needing a shotgun at longer ranges as a rule of thumb, or have concerns about penetrating barriers, you may choose to simply keep the gun loaded with slugs from the get go. Shotguns are perennial and effective self-defense tools, and their power and destructiveness are to be respected. That being said, a big part of shotgun methodology revolves around overcoming its inherent weaknesses. So long as you have the smarts and the discipline to overcome these hurdles on your road to proficiency, you can make nearly any shotgun work well for you in a defensive role. 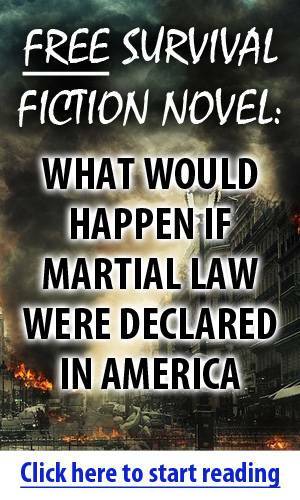 Will Military or Police Forces Shoot Citizens When SHTF? Is the Prospect of World War III just a Big Lie? Looks like I’ll break the ice again and add my additional coments later. Here are my additions and thoughts on your article. the humble shotgun for all its modern trappings has not changed an awful lot since we took to cartridge ammunition. It actually hasn’t changed much since the old muzzleloaders, other than ease and speed of loading. While there isn’t much call for it any more, I’ve taught and shot those old smokers using both fiber wads and cards, and they pretty much behave like a modern shotgun; but, with a little more gentle recoil for the same load. In the past they were used for about every category you listed for their modern counterparts. and a cloud of destructive shot comes out with the pull of a trigger, plucking birds form the air or hewing down larger critters with multiple, lethal wounds. Just pointing out the benefits of proof listening, since proof reading doesn’t always catch the minor non spelling mistakes. In this article, we’ll be taking a deep dive on the pros and cons of shotguns in a defensive context for the average citizen. 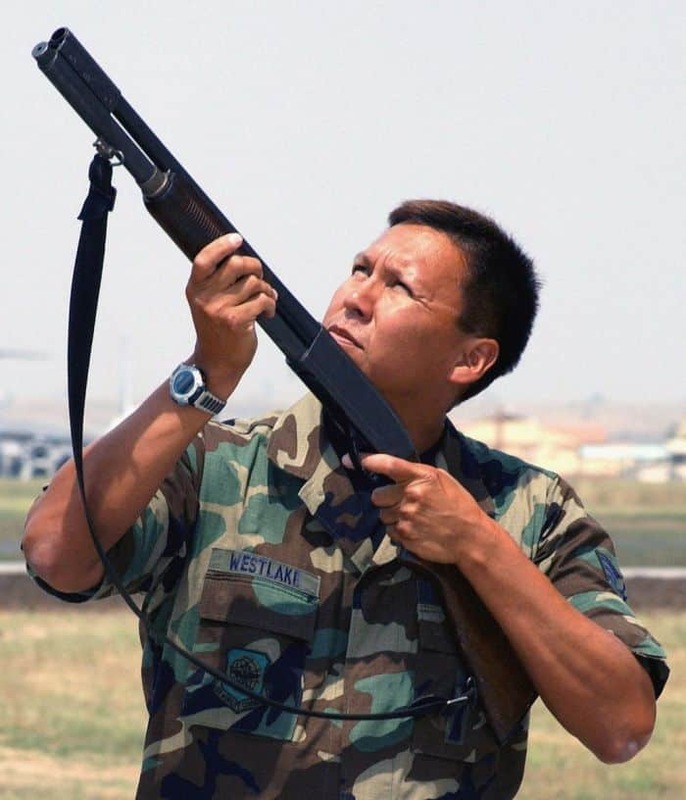 One thing you didn’t mention was that the average citizen, who wants to use a shotgun for other than hunting, would do well to partake of some training, since tactical mindset and that of hunting game can be quite different. though manually operated guns require more user practice to ensure you obtain it. I agree; but, unless by manual you mean a break action, my pump action shotguns have all been trouble free, when compared to my semi-autos. Any common shotgun chambering, save perhaps the .410 bore, is more than adequate in that department with the right payload. I would disagree with the.410 bore being inadequate. It’s the long gun I have used most for hunting both whitetail deer and small game and is very efficient with enough practiced skill. 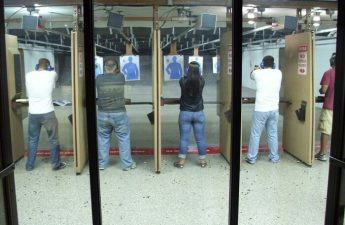 For women and small framed men like myself, it has significantly less recoil , mening it can be brought to bear on the target more quickly after each shot. Capacity is not the end-all be-all of perks in a defensive arm but is nonetheless important: each round carried on board in the magazine or in the chambers is an opportunity to save your life or someone else’s, so don’t discount it. I agree; but, it is then imperative to have the mindset to keep your shots aimed and fired with precision, since large capacity doesn’t make the spray and pray tactic work any better with the shotgun than any other firearm. Considering shotguns as a class are cumbersome and slow to load compared to other guns, adequate capacity is even more important. When you look at the plethora of shot sizes and single projectiles, there is a more than adequate selection available, and reloading is actually easier than hand gun or rrifle cartridge reloading. For my .410 bores I have various shot sizes from game through buck, plus rifled slugs, musket ball, and ball & buck. The .410 actually has an advantage here, in that the Taurus Judge and the S&W Governor are chambered for .410 and because of that, there are various other specialized self defense rounds available in that cartridge / shell. For patterning I recommend some of the shoot & see targets. When the DW took a shotgun course a few years ago, she had a beautifully patterned target that hangs proudly on our kitchen wall, under her calendar. The problem with any firearm in an urban setting is over penetration. Here in our rural area the chance of a projectile passing through the wall and perhaps multiple rooms or dwellings are very low probability; but, in an urban or suburban setting this is not the case. About 20 years ago a group of fellow instructors and I set up a 2 ½ inch thick solid core door and fired various rounds at it from 15 feet. All shots other than the .25 ACP went through the door like butter, and the only thing that stopped the .25 was that fact that is cartwheeled inside the door and left a side lone impression on the back side of the door, very nearly escaping. In a home defense situation the rule “Know your target and what’s beyond” is perhaps the most important. This holds 5 plus one in the chamber; but, with practice may be easily tactically reloaded on the fly. Once again I’ll remind of the Magpul DVD sat as a starting point if live training is not available. Shotguns also fare very poorly against body armor, but that is another discussion. For home defense, if you are facing body armor, you may have not thought out your defensive plan or lifestyle adequately. If you can afford it, a selection of handguns (you can keep with you at all times), plus rifles and shotguns generally work for most occasions. The SA-20 comes with a tactical sight but, a bead can work very well with practice. I think I covered .410 and if you look around, there are plenty of good loads. It may however take some time, money, and patience. Depending on what you call bird shot, it can be a good starting load in a pump or semi auto shotgun. I usually load #6, followed by #4, followed by 00 buck and finally slug or musket ball. Since the point of defense is to stop the threat, and not to execute the assailant, the #6 fired to high center mass (neck & face) is essentially a non lethal warning shot; but, if the warning is not heeded, subsequent shots automatically bring more lethality into the fight. I mentioned penetration in real world testing above, so beware of the myths, especially if you live in an urban or suburban area. I disagree; but, once again, I cannot stress the need to practice until you are proficient. I assume you meant 870. We can’t have newbie’s looking for a nonexistent model, LOL. Not great advice. Body armor is more commercially available than it used to be, ergo some criminals are going to have it. No point mocking law-abiding folks who are going to be on the receiving end of those so equipped and criminally inclined. Perhaps a more serious-minded person could opine on shotgun shell choices for defense that strike a good balance between effectiveness on armored and unarmored persons. Not great advice. Body armor is more commercially available than it used to be, ergo some criminals are going to have it. No point mocking law-abiding folks who are going to be on the receiving end of those so equipped and criminally inclined. There’s no mocking here. Just that if body armor is a concern, then one should look beyond just having a shotgun for defense, since many center fire rifle cartridges will perform well against same. For body armor if stuck with only a shotgun, one would need to investigate what is available for their particular model and gauge. If one of the rifles was unavailable, I would use one of my single shot .410 loaded with musket ball. What is precious is the ability to do tactical loading of the required shells on the fly. This takes practice, during which you will expend a lot of ammunition; but, along with mixed loads allows you to select the proper ammunition for the threat, at the time you need it. Loading a single shell type makes assumptions that may go awry in the real world, so you have to think on your feet and be flexible. I highly recommend everyone at least watch the Magpul DVD’s on the Dynamic Shotgun. Some libraries have them available for borrowing. Thanks for reading my work. I appreciate it. You are very correct that training is the key absolute for effective employment of the shotgun (or any gun) in defense of life or limb. Among myself and other trainers I break bread with, there are few who will ever advocate birdshot for defense for all the reasons I mentioned above. Sure, it may result in a psychological stop. MAY. But it does not possess enough penetration to come close to acceptable performance against humans. Your preferences are your own, as I have long since stopped trying to push folks up hill when their minds are made up, but I would vociferously encourage you to ditch the grab-bag loading of your scatterguns and do so post-haste. I am not sharpshooting you, but the fact is that in the same reply to Maximus above you cite the need to be utilize a proper load for a threat and also to not make dangerous assumptions about a situation that may lead to a negative outcome. A shotgun loaded for defense against a human attacker will be loaded with slugs or some flavor of buckshot if the shooter has any choice whatsoever in the matter. Anything else is sub-optimal. There is nothing more pie-in-the-sky when it comes to assumptions than loading a shotgun with a mixture of shells for ascending levels of lethality. The potential for disaster is high: what if you need buck or slug immediately when a threat presents itself, not piddly birdshot? Will you just start shooting until you get to the “good stuff” and doing real work on Johnny Scumbag? If you require multiple shots or have to deal with multiple assailants do you really want even half of the guns capacity consumed by marginally effective ammunition? It is, frankly, a recipe for failure. 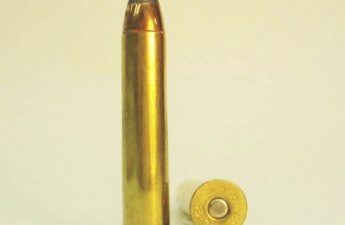 If you desire the ability to quickly change shell types on demand, the simplest technique is to simply leave one round out of your magazine: you may then subsequently load the mag, chamber, and fire according to your need, or load, chamber, then load 1 more in the mag to have 2 slugs on tap. If there is no need to utilize a slug, you can carry on firing buckshot with no issues. I hope that gives you a little food for thought. Thanks again for reading, and take care. Shotgun is my HD Long gun of choice. Tried a mossberg 590A1. Great gun to big (20″ barrel) and too heavy. Own a Benelli m2. Nice gun, don’t love unloading the weapon. Otherwise it’s a keeper but at $1400 it’s a little spendy. Now the mossberg 500 in 20G is just right. Much lighter then the 12G, I find it to be faster handling too. Not as nice as the Benelli but almost 1/4 the price. Plus the 20G fits my wife much better than any 12G I’ve owned. 20G with #4 buck at HD range is more than sufficient IMHO.